Yoast SEO plugin is the known leader in the number of installs and satisfied users. The leadership is based on the variety of features and user-friendly interface which allows even newcomers to WordPress administration to work effectively and properly with all tools needed for search engine optimization. Yoast is the free tool which makes it even more popular. Although the plugin has some paid extensions, the main interface and the most important features are available for free. The most important of many Yoast features is the full control on meta tags and search snippet. This tool is available for any page and post of your WordPress website. You just need to fill in the simple form for the correct display of meta description, title and keywords. The same tool is responsible for the snippet control (as the meta tags info is used there). Yoast SEO plugin also has useful tips for the optimization of every page of your website. It can measure the keyword density, inbound and outbound links, the presence of images (and meta tags for them), text length and much more. All this features show the overall adequacy of your web page to the search engine requirements with green, yellow or red light. Yoast SEO plugin also helps to create perfect breadcrumbs for the categories and subcategories of your website. The plugin has social integration feature which connects your WordPress website with your social network accounts and does it properly for SEO. All the features of Yoast SEO plugin are described in the separate article inside our blog. Check out the Yoast SEO Plugin Full Guide for WordPress to see the detailed review of this beautiful tool. Premium SEO Pack is also a versatile tool for optimizing your WordPress website in accordance with search engine requirements. This tool has only the premium version that includes regular license and professional customer support for 6 months. Premium SEO Pack includes a very handy tool for page speed insights. With this tool you can measure the speed of your WordPress website and the speed of separate pages within it. This information is essential for the search engine optimization, as Google has the tendency to penalize slow websites. Premium SEO Pack has the unique tool called Backlink Builder. This built-in module allows you to search for other websites with the similar content and to build your linking strategy wisely from the beginning. The link factor is still strong for SEO. That is why such tool is crucial for your search engine optimization strategy. Premium SEO Pack also provides you with extensive social marketing features. There is a unique Facebook Planner which allows you to schedule and post content to Facebook from your WordPress admin dashboard. Premium SEO Pack also uses Open Graph and Twitter Card features to connect your WordPress project with the essential social network accounts. SEOPressor is more advanced premium SEO tool for WordPress admins who want to go deeper into search engine optimization. Although this tool offers similar opportunities for keywords` checking and readability score (like Yoast), it has some more advanced tool on board. SEOPressor allows you to build the sitemap in an automatic way (which is a great help for any WordPress admin). It also has a unique tool called Dynamic Crawler Control. This tool offers you the view of your website as it is seen by search engine crawlers. Automatic Smart Internet Linking feature by SEOPressor allows you to build the perfect internal link structure for reducing the bounce rate and increasing the engagement of your website visitors. This tool can work automatically which brings you more time for the website development in other aspects. LSI keyword finder is also included into SEOPressor`s kit. LSI (Latent Semantics Indexing) is one of the known algorithms to improve your SEO score within the additional keywords. SEOPressor allows you to find LSI keywords and use them properly inside your content. SEO by Squirrly is the free tool specially designed for the newcomers to the field of WordPress administration and website development. It has a set of visual tutorial for those WordPress admins who do not know what SEO is and how to make SEO-friendly content. SEO by Squirrly is also enhanced to help in creation of optimized and user-friendly content. SEO by Squirrly has the content checker similar to Yoast SEO. It shows all errors and suggestion on how to fix them. Moreover, this tool can offer you the optimized headlines for your content pieces according to SEO rules and trends. SEO by Squirrly has its own keyword research tool that offers good opportunities for analytics and usage of proper keywords inside your meta tags, snippets and text content inside posts. 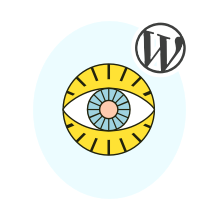 Broken Link Checker is a simple and free but very important tool for any WordPress administrator who values his own time. Broken links can do a significant harm to your SEO score, users` bounce rate, engagement and other important options of your website`s development. Broken links must be detected and repaired. But the manual implementation of this process is very boring and takes too much time and effort. That is why Broken Link Checker is so handy. Broken Link Checker not only automatically monitors and detects the broken links inside your website, but also offers a convenient interface for their fixing just in the plugin`s page. It is very important that you do not need to visit every page with a broken link — it would also take a lot of time. Broken Link Checker is also enhanced by email notifications. You do not need to stay inside the WordPress dashboard to be informed about the broken links. As soon as they appear you will be invited to fix them per email.